BCS Prep is set in a green and leafy site in the centre of an attractive area of Poole, Dorset. Our pupils benefit from extensive amenities and attractive grounds. Visitors are always surprised by our spacious facilities, which are well hidden from the road side. 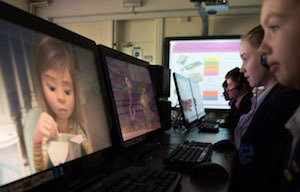 Our pupils learn in bright, attractive and spacious classrooms. We have a computer suite housing 25 touch screen computers, laptop and tablets to support ICT across the curriculum. We value the importance of books and have a well-stocked library used by all pupils. The library is a quiet learning space with a range of books to inspire reading for pleasure, enquiry and research. Singing, playing instruments and beating a drum are all encouraged as part of life at BCS Prep. Our music room inspires and encourages pupils to experiment creatively and explore their hidden talents. We have a large designated Art studio and a separate DT workshop both well stocked with the materials and specialist tools needed to enable pupils to design and create their masterpieces. 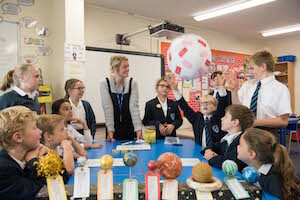 Our science lab is well resourced with a range of equipment that enables pupils to experiment and engage in exciting and interesting science investigations. Our PE curriculum is well served by a large sports field, sports hall, tennis courts, netball pitches and a 20 metre indoor swimming pool. 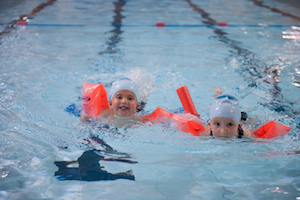 We run a Learn to Swim programme and this is open to all offering swimming lessons for mother and babies, toddlers and children. 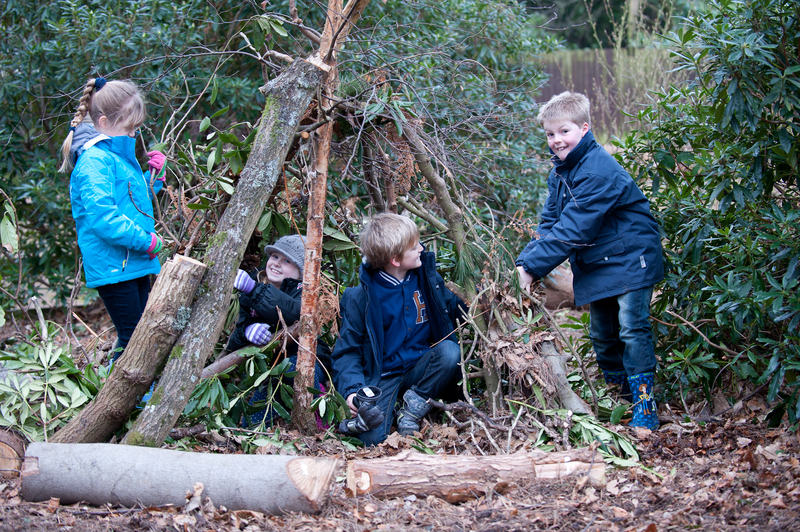 As a Forest School we make good use of the wooded areas around our site to discover the natural world, to build dens and make camp fires. Our secret garden houses a dipping pond and decked area for pupils to explore wildlife and natural habitats. Playtime is an important part of childhood; a time to release energy, keep physically active and socialise and interact co-operatively with children of different ages. Our pupils play amongst the trees in the woodland areas, as well as having a hard standing playground well stocked with balls, skipping ropes and other toys. 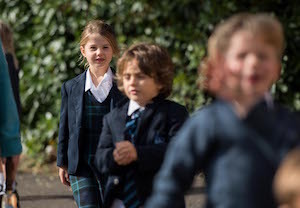 Our youngest pupils have free flow access throughout the day to two stimulating outdoor learning environments which support all aspects of their learning and physical development.